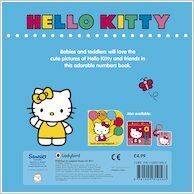 Count from 1 to 10 with Hello Kitty! 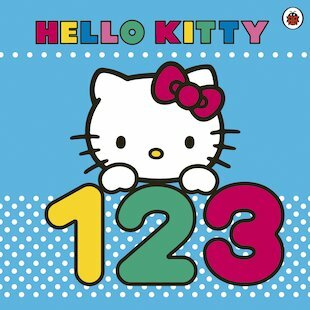 Step into this pretty kitty’s wonderful world for a fantastic first look at numbers, filled with fun objects to count up and name. 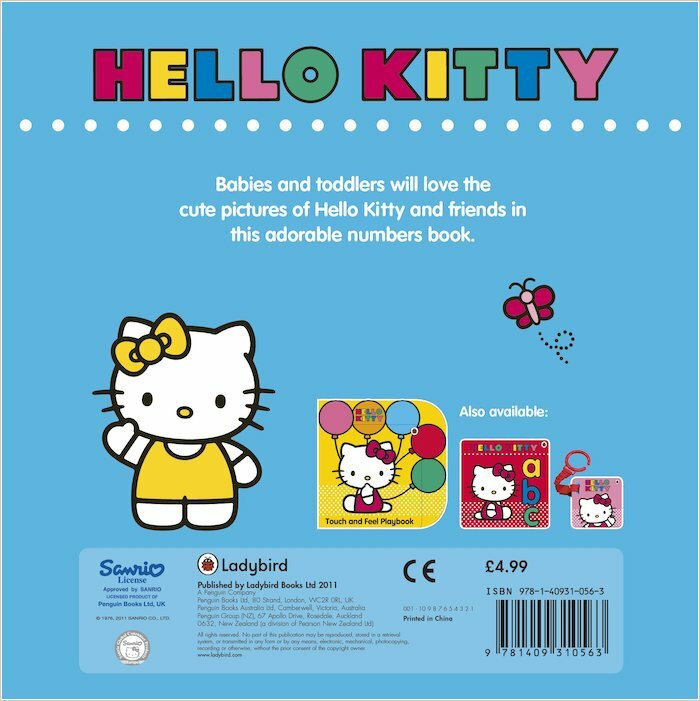 Perfect for babies and toddlers, this beautiful board book lets little ones learn and remember numbers as they admire gorgeous high-contrast pictures of Kitty, her friends and her favourite things. Learn to count with Hello Kitty, her twin sister Mimmy and her friends! it has clear numbers and god pics. my little sister love this cute book.